When we hear a vocal track during a dramatic final confrontation, we are confused. It’s something unnatural, and it makes us focus on the sound much more than during regular background music. Let’s take a look at some memorable examples. I’m a gamer with a wide range of interests, encompassing almost all major genres, maybe except sports games. But the titles that I particularly like, those that truly dug themselves into my memory, and which I gladly revisit have a single common element – they tell stories that rely on evoking emotions. They make me connect with the characters, feel their grief, sadness, and joy along with them. Developers have several available methods to achieve such high levels of immersion, but in this article I’d like to focus on one of them. This particular method is often underappreciated, but when used right and in reasonable doses it can send the emotional load of a scene through the roof. The method I’m talking about is the usage of vocal tracks. Having a matched, tension building soundtrack surprises nobody these days; it’s become an irreplaceable narrative tool in modern popculture – one so common that it usually goes unnoticed. It’s there, it does its job, and that’s all. That’s what we’re accustomed to and what we find natural, having become partially “immune” to its effects. But when we hear a vocal track, for example during a dramatic final confrontation, we are surprised. It’s something unnatural, and it makes us focus on the sound much more than during regular dramatic or tear-jerking background music. A well-matched vocal song can significantly amplify the emotion accompanying a particular scene, exactly because we don’t expect it; because we aren’t accustomed and “immune” to it. The Japanese are the best known (and the most proficient) users of this technique, but Western developers have also started relying on it more and more often. Let me introduce you to some of my favorite examples of this trick, both successful and not. Some of them come from the respective games’ finales, so, you know... spoilers inbound, and all that. You have been warned. The antagonists in the Metal Gear Solid series have a long tradition of being written as deep, charismatic, and appealing characters. We kill them, because we have no other choice, and when we finally manage to take them down, we are left with a feeling of loss. The fight against The Boss is hands down the best duel written by Kojima during the entire saga. 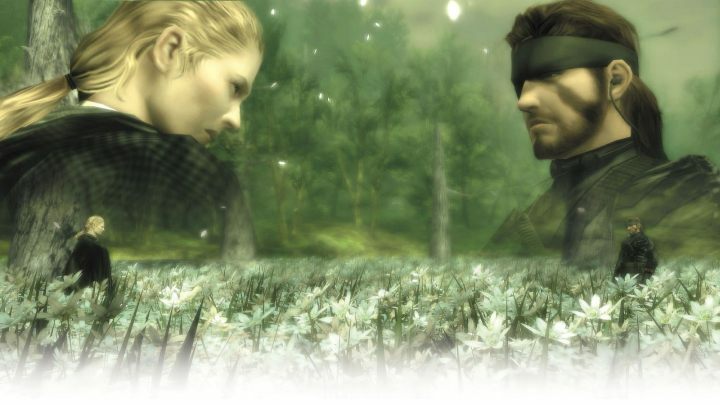 Snake has to face his mentor, teacher, closest friend – a woman who was to him something more than even a lover would be. Cornered, running out of time, he is forced to choose between the loyalty to her and the loyalty to his country. Between betraying a woman and betraying the ideal she taught him to respect during the long years they’ve spent together. This dramatic fight in a memorable, beautiful background becomes even more impressive the moment when the first notes of “Snake Eater” kick in. Up to that moment, we could hear the main theme song of the third installment only during the intro and a single memorable scene. So when the track hits us during the game’s most important battle, it hits hard. That’s one battle we really don’t want to end, because of the spectrum of emotion it raises. In fact, it’s not the only time when the franchise used vocal tracks – let’s not forget the wonderful scene in the microwave hall in MGS4 or in the final mission of Peace Walker. Kojima really knows how to do it, but it’s the final duel with The Boss that takes the cake. Sometimes, you can pinpoint the exact moment when you fall in love with a certain game. 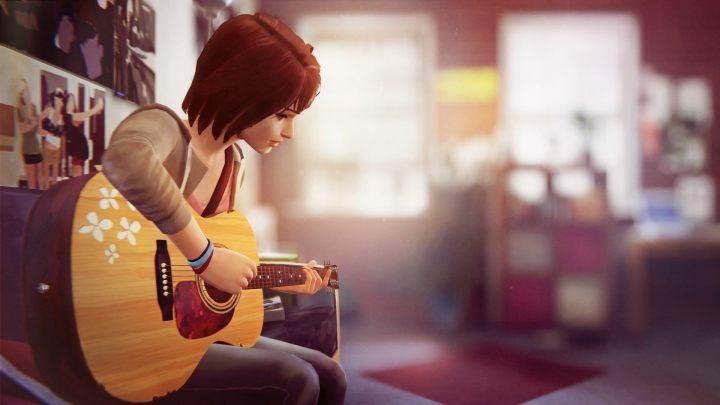 Life is Strange has such a moment for me. It charmed me during one of the scenes near the beginning, which set the tone for the rest of the game. A moment after Max, the game’s protagonist, discovers her ability to travel in time, the classes end. The girl leaves the classroom and enters a crowded corridor. Feeling the weight of what happened just moments beforehand, she decides to escape reality for a few moments, and puts on the earphones. In that very instant, the sounds of the surroundings become muted, and replaced by a climatic track that fits the life of a teenager to a T. The music plays, and we can look at other students and get to know them through Max’ comments. Rarely do we have a moment in gaming so perfectly depicting the feeling of isolation that almost all of us felt as teenagers. As a standalone, the j-pop song that is “Simple and Clean” isn’t really much to listen to. 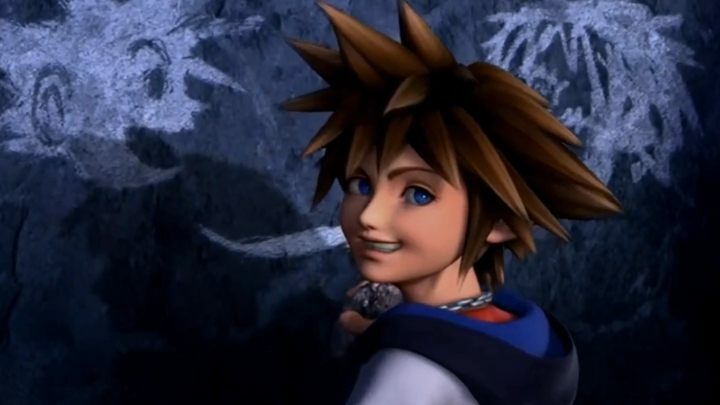 But when it picks up during the prerendered outro to the first Kingdom Hearts game, it turns out to be the perfect match to what we see on screen; and it makes our eyes wet. The best thing, though, is the fact that it’s hard to identify what exactly we are feeling when we hear this combo – it’s not sadness, it’s not happiness, more like... hmm... longing? Sympathy towards the protagonists? Nostalgia? Whatever that is, we certainly don’t feel it often in video games. The same trick was also used in the second installment, but to a lesser effect. Rockstar, on the other hand, did something else. They didn’t amplify an emotional moment in the game thanks to a vocal track. They created one by using it. See how this one goes: here we are, crossing the border, entering a foreign country. Gameplay-wise this is just another location transition, another piece of map to explore. Or it would be, if not for “Far Away”, the song that accompanies us when we first cross the border into the new area. It makes us realize just how far from home we’ve ended up; it takes a typical trip into a new location and turns it into something really deep. Something weighty and important. It’s almost as if something irreversible has happened – although we can return to the previous map anytime we want. 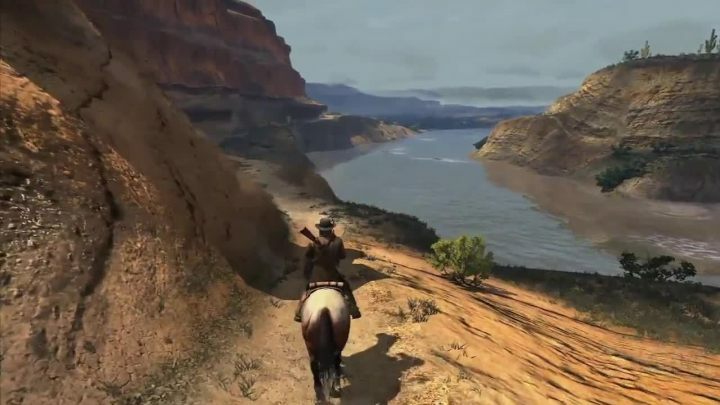 The scene, which consists of virtually nothing except us riding through the plains, becomes one of the most memorable sections of the whole game thanks to the good use of a vocal track. And that’s not the only case of near-perfect usage of vocal tracks in this western sandbox. We encounter an equally memorable moment with the song “Compass”. Once again, it is played during a typical travel sequence, and turns a simple ride into something magical. A wall of text in NieR can spark more emotion than a dramatic death scene of the main protagonist in most other games. 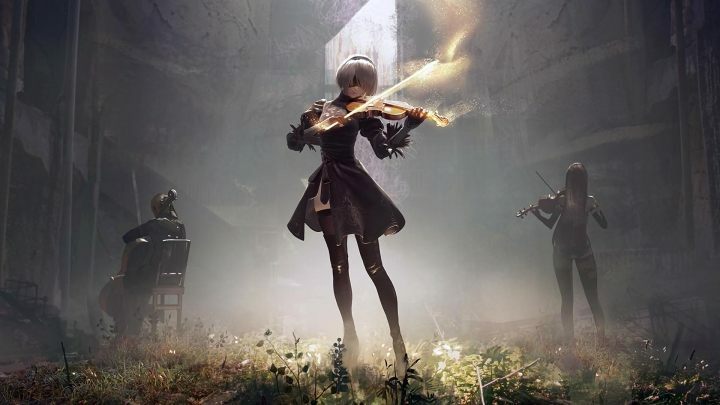 The emotions evoked by the team led by Yoko Taro with Automata’s soundtrack deserve a separate paper. The sadness, nostalgia, joy, relief, anger, desperation – the spectrum of things that we feel during the game, especially when playing the third route, can be overwhelming, and remains in our memory for a long time after we complete the game. At first it was hard for me to pick a single vocal sequence that would encompass the magnificence of this title, but after a moment of thought, the choice turned out to be obvious. 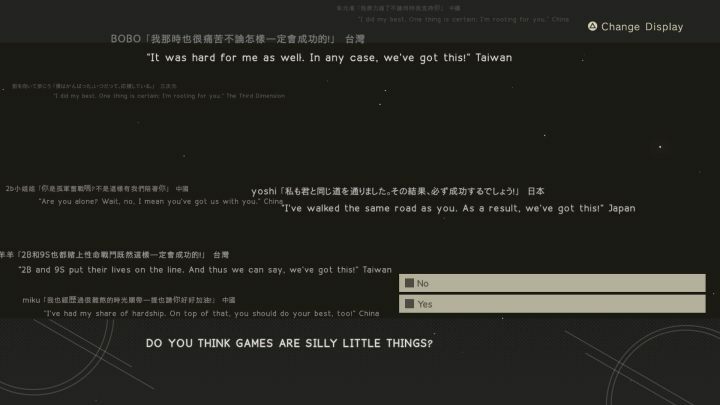 “The Weight of the World” is the song that accompanies us several times across the game, in different versions, different languages, and usually during important moments. One of the versions kicks in during the battle for the E ending, the true end to the whole game. Just when everything appears to be lost, and our only hope is to win a battle that cannot be won, other players come to our aid. Thousands of gamers from around the world, each of them having fought the same battle before us, support us with numerous words of hope and motivation. But after we lose enough times, their help becomes much more direct and active. And all that happens while we listen to a gradually growing song, enhanced with additional chorus, and overflowing with raw emotion that instantly hits the player. The emotional load of this scene is so big that near the end of the song you can actually hear the female vocalist’s voice faltering from sheer emotion. Oh, and one more thing – this exhilarating, extremely dramatic scene was implemented as a top-down shooter, in which we battle the ending credits. Yoko Taro, you are a genius. As I’ve written earlier, vocals can confuse an unaccustomed player. 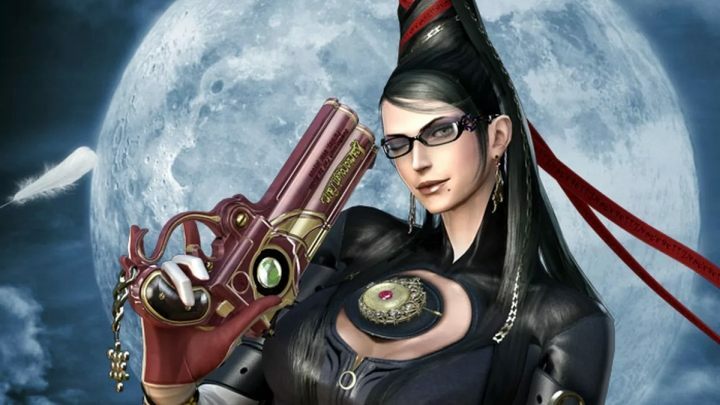 The developers of the over-the-top hack&slash Bayonetta were counting on it. In one of the first scenes in the game, we find the protagonist dressed in church robes and praying in a graveyard. The stern mood, sacral music, angels coming down from the sky... all that turns into carnage as the main character drops her sheep’s clothing, covers herself with a skin-tight costume made of her own hair, and begins to slaughter the feathered beings... All that happens while we listen to the romantic tune of “Fly me to the Moon”. The sheer grotesque of how the events develop, along with the apparently mismatched song is so contrasting that... it’s wonderful. Thanks to this single scene, we quickly understand that we’re in for one hell of a crazy ride, which we won’t find in any other game. One of the scenes during the game’s finale. An airport, an army of enemies, and Max standing alone. The massacre begins, we hear the song “Tears” by the band Health, and... nothing. I don’t know what went wrong with this one, but something obviously did, because the song doesn’t really amp the tension in this case. 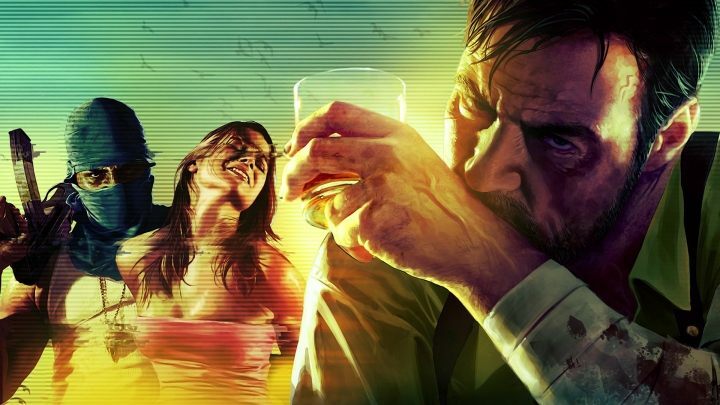 It’s hard to tell whether it’s due to the scene, or the song, but it sure ain’t the fault of the game – I find MP3 to be one of the better TPP shooters in the recent years. Admittedly, it’s not a tragic example, because while the tune doesn’t help the scene, it doesn’t spoil it either. It’s just... meh. But I know a lot of people who don’t share my opinion on this one, and find the scene wonderful. So, as you can see, your mileage may vary. I count myself among the small group of gamers that actually liked Final Fantasy XIII. Admittedly, it wasn’t the best installment in the series, but I’ve spent a few dozen pleasant hours playing it. The sequel, however, doesn’t get off that easily. One of the things I hold against it is the fact that the soundtrack is stuffed with vocal tracks. When we hear a song once, it’s a nice addition. But if we are expected to spend two hours in a location while listening to looped howling, we WILL turn off the sound, sooner or later. Somebody overdid it here. Badly. There are many more games out there that use this little trick, but I’ve decided to select only the examples that left a deep mark in my memory. Vocal tracks were used to great effect in such games as Saints Row: The Third, the awesome Helena ending in Dead or Alive 4 (that’s how I fell in love with Aerosmith, btw) or Beyond Good and Evil. 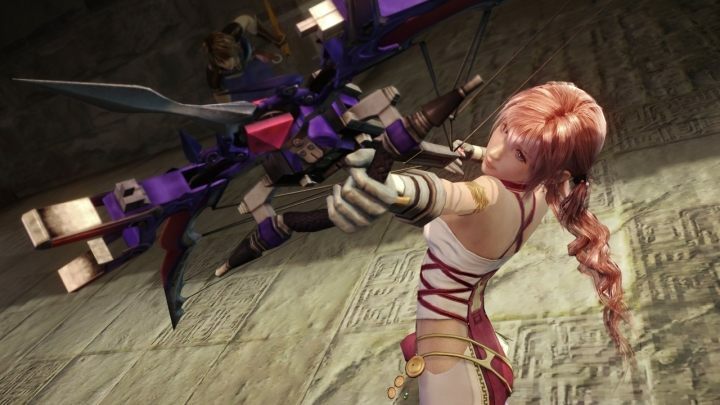 Luckily, the trick was pulled off correctly more often than not, and cases such as FFXIII-2 are few and far between. One thing I wouldn’t want to see, though, is for the developers to rely on this method regularly – it may lead to us, gamers, growing accustomed to it, and the trick would lose its effectiveness in the long run. Too much is never too good. But once in a while and used correctly – I love it!